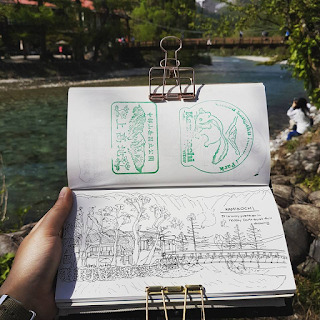 For this Sketchpacker Artist Feature, we have my friend and fellow urban sketcher Kwok Xiaowei! 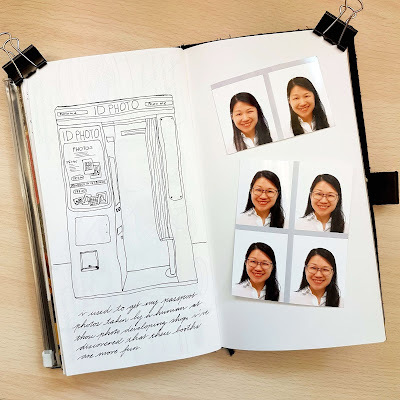 Ms. Kwok, as she is otherwise known, has only been drawing for about 2 years and is becoming a very seasoned sketchpacker! I love her sketches in her trusty Midori Traveler's Notebook, and the notes that accompany them. 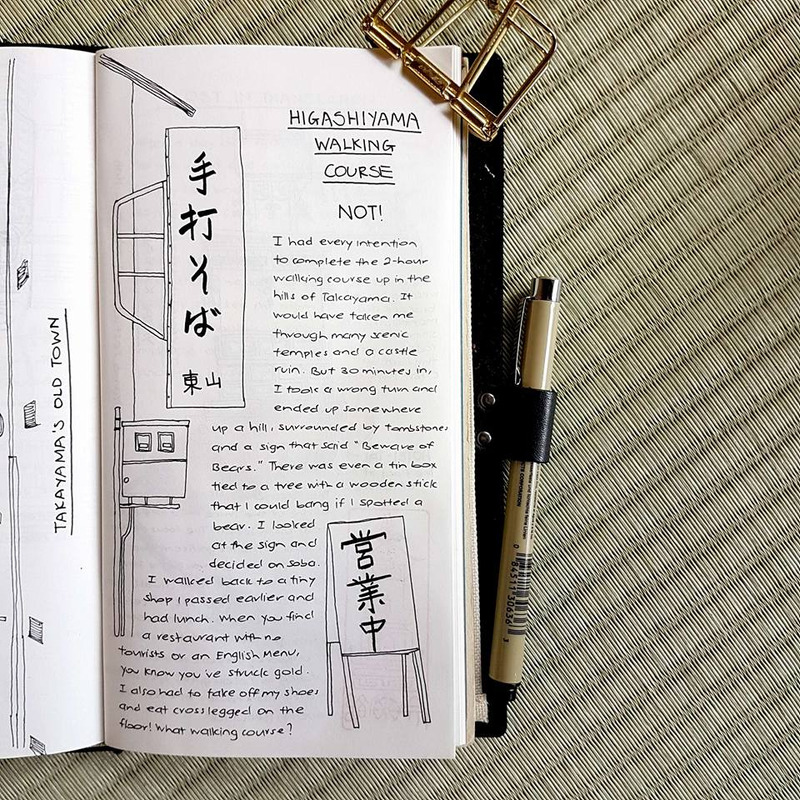 She also uses different typography and calligraphy, and makes good use of white space, which makes her pages very easy on the eyes. 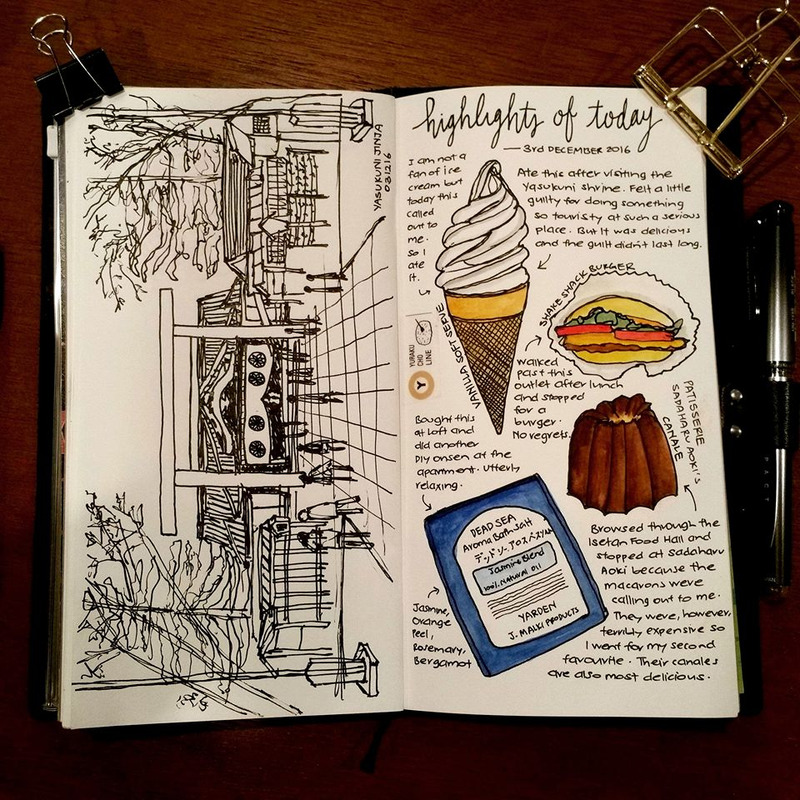 To top it off, she's a pretty good writer, and reading her sketch journals is a real treat. Without further ado, here is Ms. Kwok! I’ve always found this question difficult. I’ve been so many different versions of myself at different points in my life that it would take more than a paragraph to adequately describe who I am! I have a degree in environmental engineering and a diploma in pastry making. I worked in an Italian restaurant for a while before my current job as a government employee. 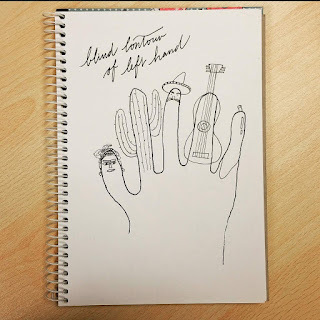 I enjoy working with my hands which explains my hobbies of cooking, sewing, English calligraphy, flower arrangement, drawing and most recently, playing the guitar. 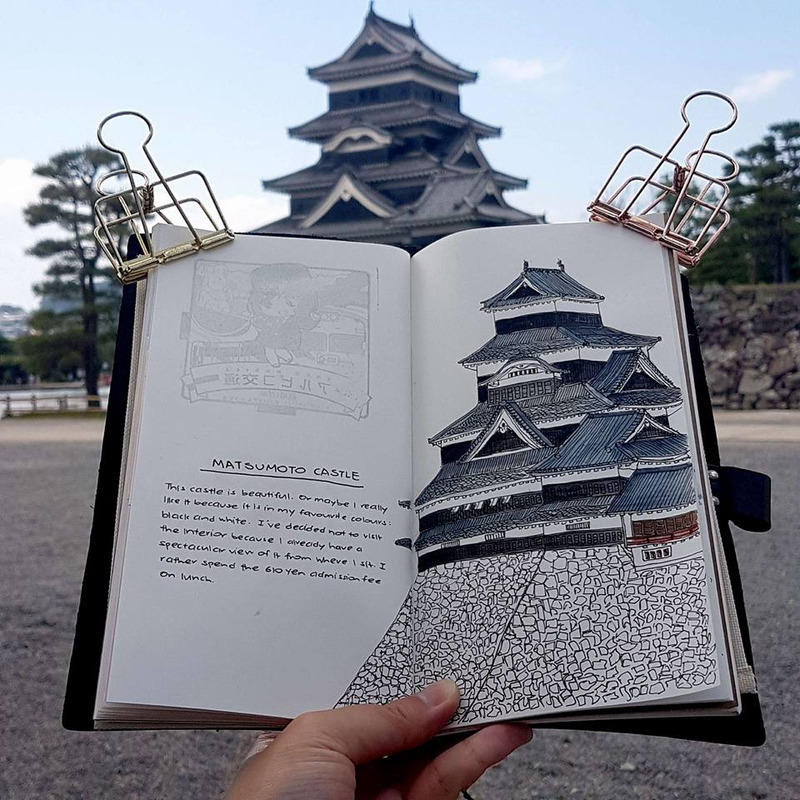 I’m an avid reader because I can escape to a different place and time from within the pages of a book - useful for times when it isn’t time yet for the next trip. If I pared myself down to the bare essentials, I would describe myself as minimalist, reliable and curious. 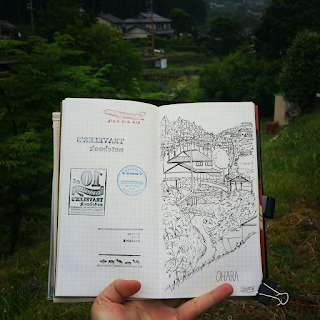 When and how did you begin sketching and sketchpacking? 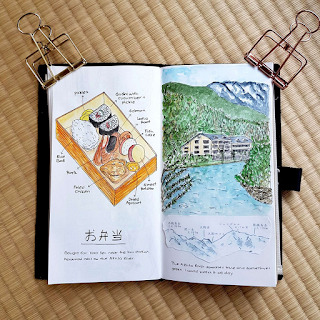 It all started when my aunt gifted me with a Midori Traveler’s Notebook for Christmas in 2015. I’ve always wanted one but the steep price held me back. 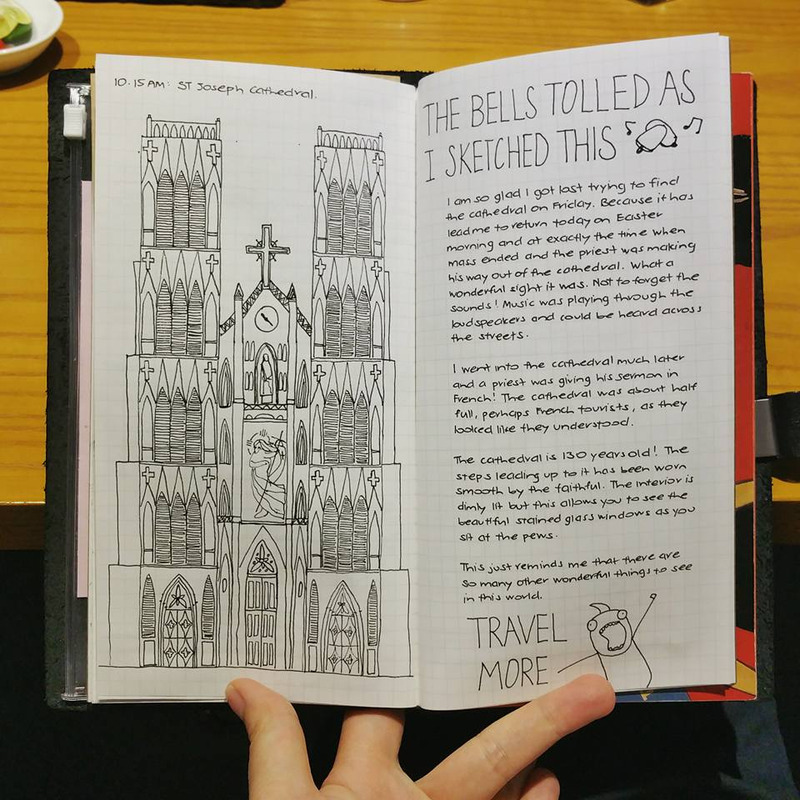 Now that I was the proud owner of a Traveler’s Notebook, I wanted to be worthy enough to write or draw in it but my drawing skills were non-existent. So, I decided to teach myself how to draw! 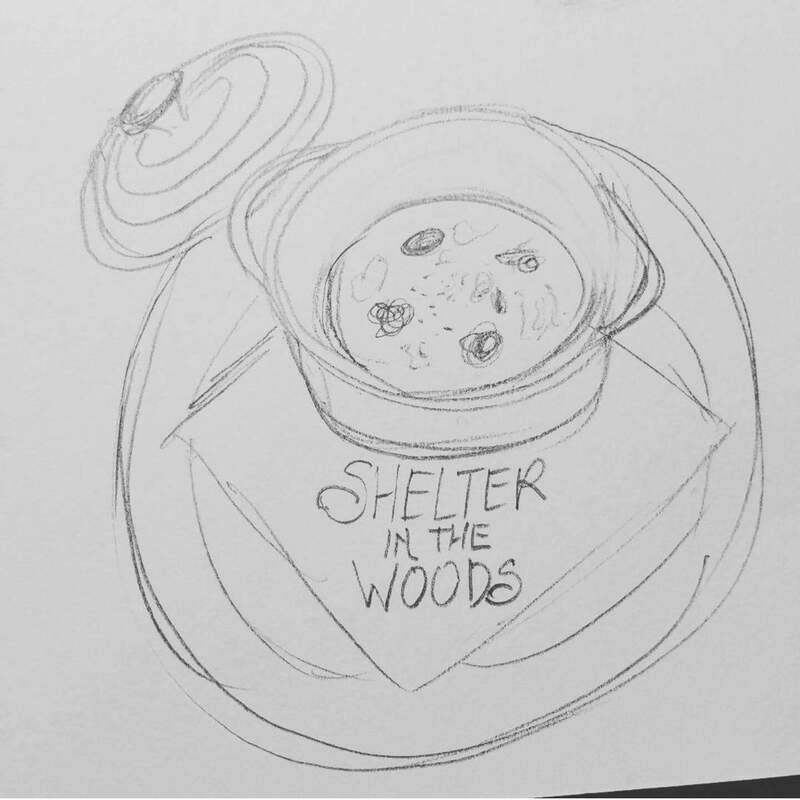 For the entire year of 2016, I carried out Project Sketch 365 and posted a sketch on Facebook every day. 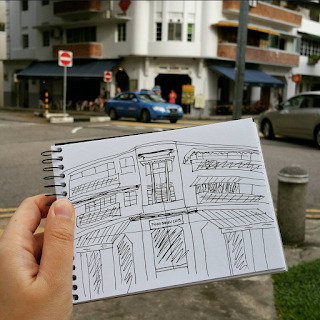 In the midst of it, I learnt how to draw. I brought my Notebook with me on all my travels so sketchpacking can also be said to have started in 2016. 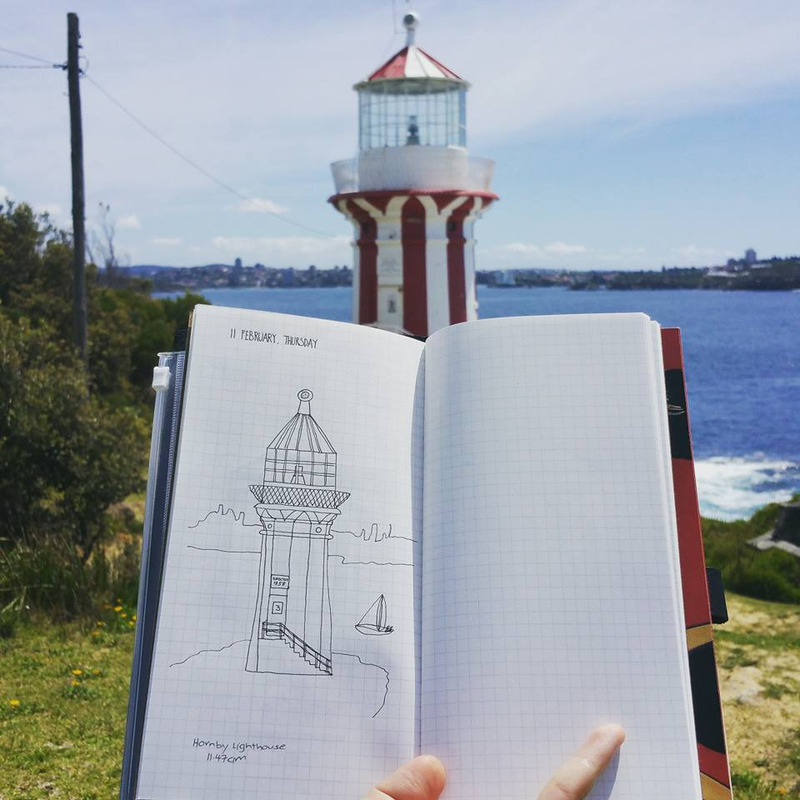 Where have you been to travel sketch? I have been to 7 countries to travel sketch. These countries are Australia, Japan, Vietnam, Indonesia, Malaysia, Taiwan and Thailand. Which is your favourite location and why? I have great memories sketching in all these countries but if I had to choose I would definitely say Japan! It is my favourite place to visit as there are so many things to do and see. The country is clean, organized and a breeze to travel around in. The food is fantastic and the people are extremely kind. 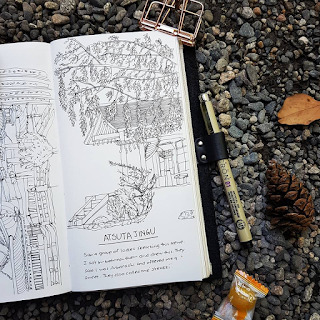 I tend to travel in spring and autumn so the weather is always comfortable for outdoor sketching. 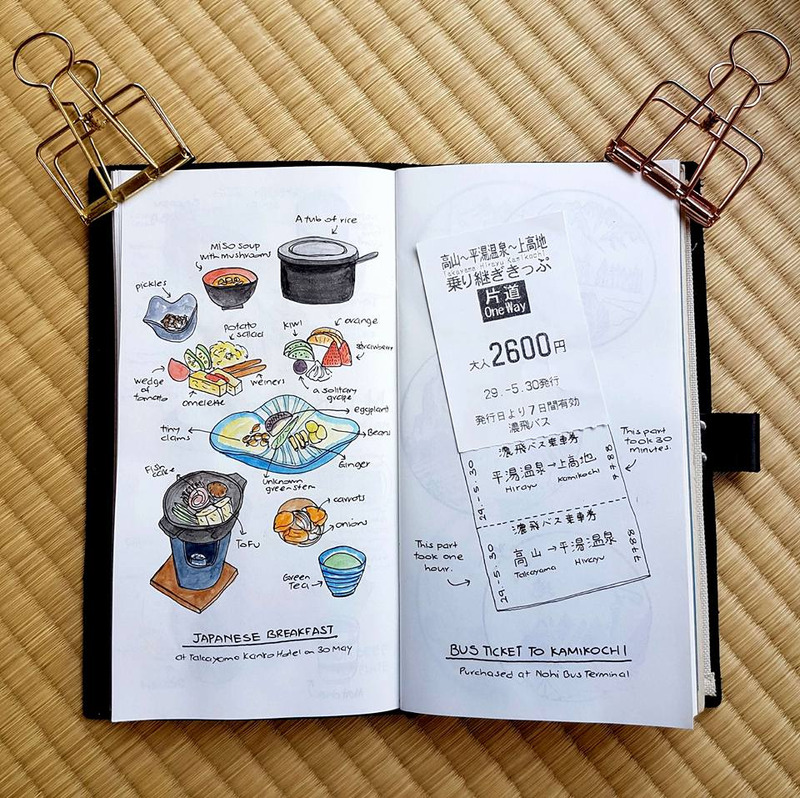 Since my first trip to Japan in 2015, I’ve returned every 6 months. Japan calls to me and unfortunately for my pocket, I always answer. 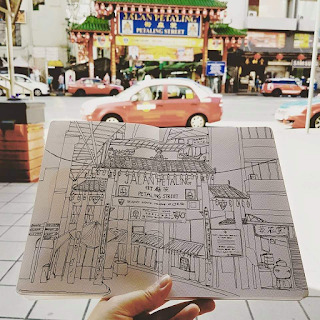 Where would you like to sketchpack to in future and why? I would like to return to England to sketch! I enjoy cities with long histories, so London fascinates me. There are many art museums to visit and architecture to sketch. There are also warm scones and clotted cream to be enjoyed with a large pot of Earl Grey tea. What kind of traveler would you say you are? I am a languid traveler. I see no need to conquer peaks or go rafting down a rapid. I do not jump off cliffs or dive off planes. 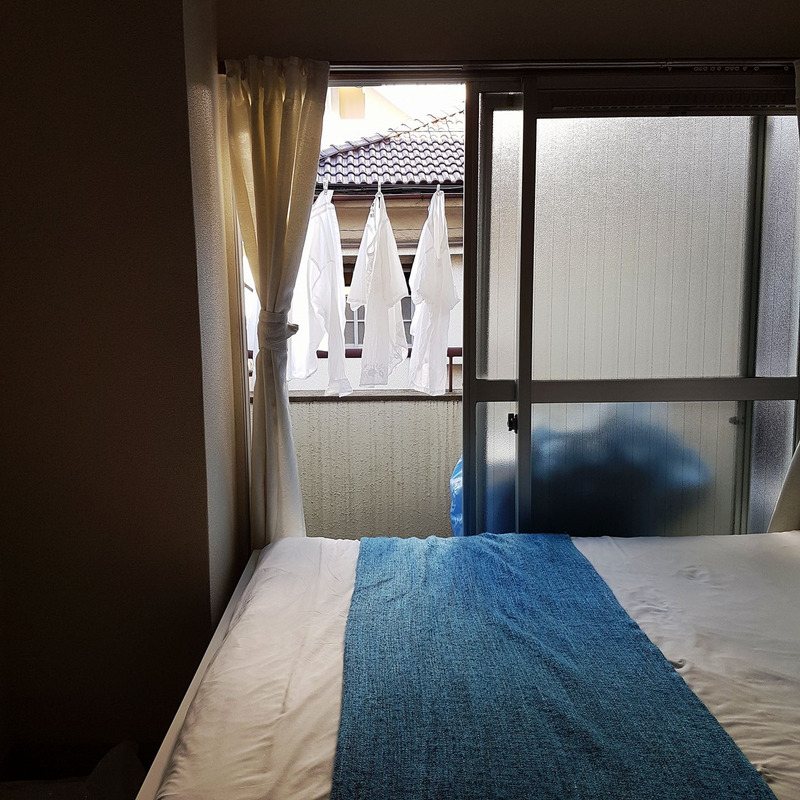 I travel at a leisurely pace and feel the happiest walking around museums or neighbourhoods where I can see life as it really is in that country, instead of what their tourism board wants me to see. I also have an intense dislike for large groups of tourists, so I tend to avoid tourist traps. 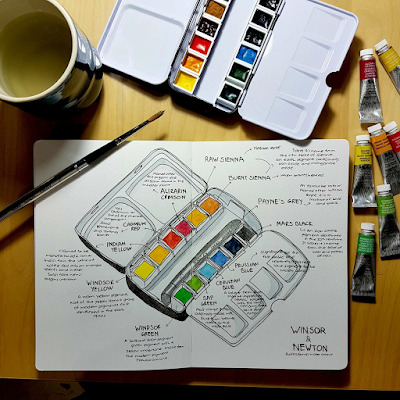 What are your packing essentials (not only art materials)? Besides the obvious items like passport, smart phone and chargers, I always bring a novel, my traveler’s notebook and moisturizer. 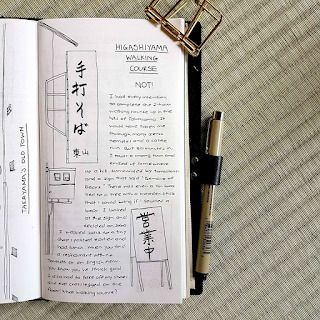 There is a lot of waiting involved in traveling and that’s where a good novel comes in handy. I use my traveler’s notebook to record my journey and keep other bits and bobs like ticket stubs and receipts. I am prone to having dry skin whenever I travel so moisturizer is also an absolute essential. What's your travel wardrobe like? I travel monochrome because everything matches and you automatically look chic. 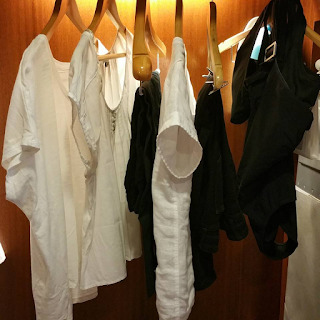 I pack white shirts/blouses, black or dark coloured bottoms, a sweater and a scarf. Dark coloured bottoms are great especially if you are going to be sitting on the ground sketching. 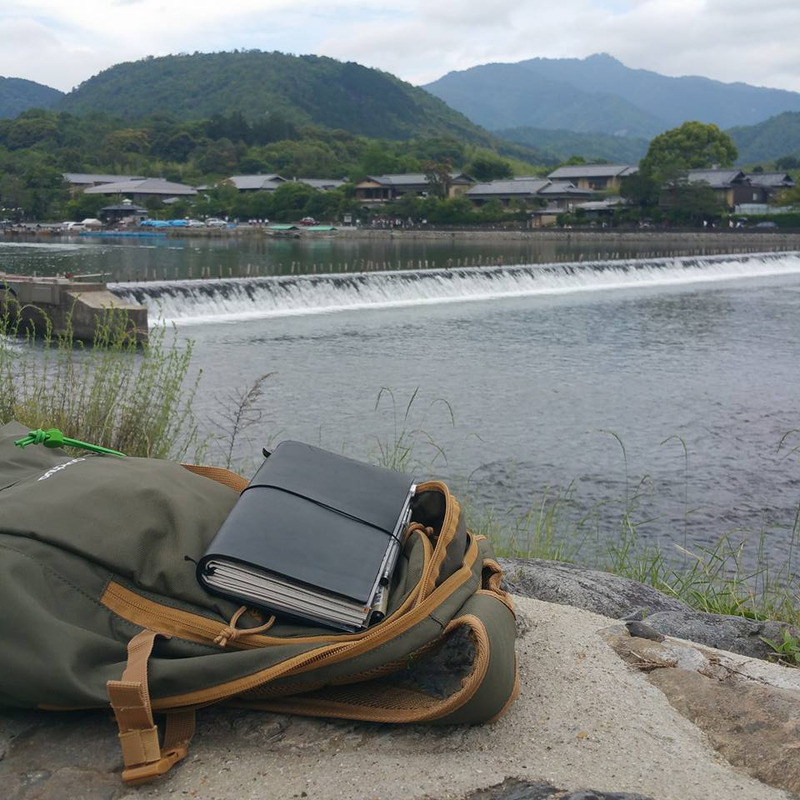 I’ve recently added a bucket hat to my travel wardrobe; useful for preventing sunburn when you are sketching outdoors. 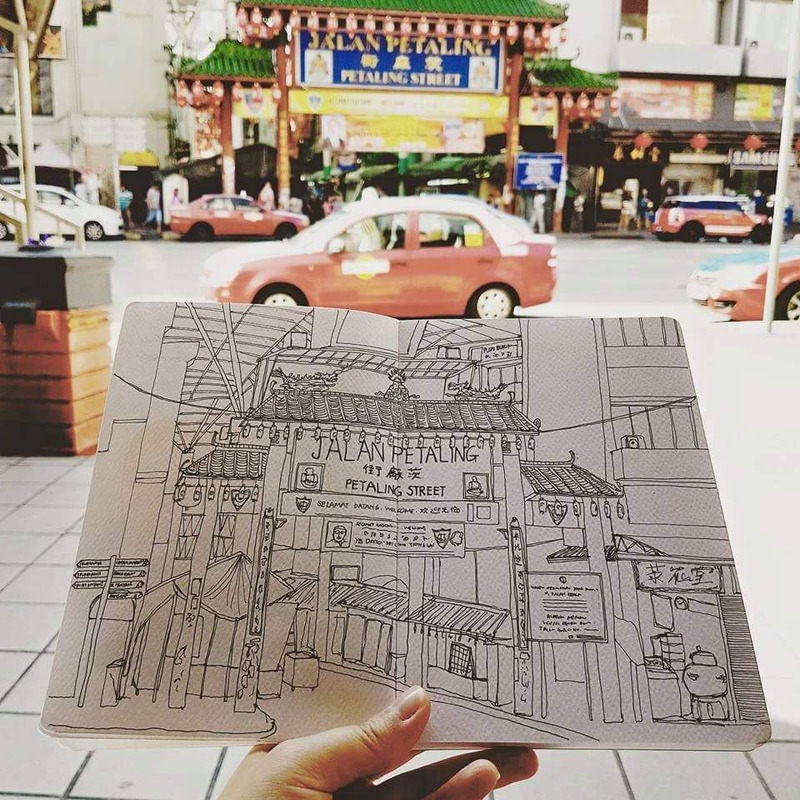 What are your preferred sketching tools and what do you like about them? I love using Micron pens (01 and 03) for drawing as they produce dark black lines and dry quickly. The ink is also waterproof and allows me to apply watercolour after. I use Pental’s Aquash Water Brush and Winsor & Newton’s Professional Watercolour for applying colour. I travel sketch directly into my Traveler’s Notebook as the paper is sturdy enough to hold up to watercolour, hence there is no need for me to bring an additional sketchbook. 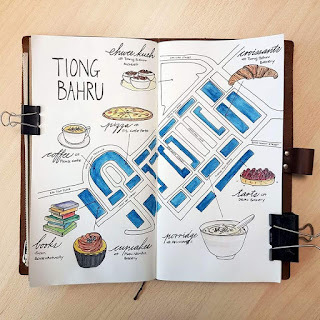 Why do you travel and why do you sketch on your travels? I travel because there is so much of the world to see. I travel to see and learn about different ways of life. I travel to seek beauty in nature and to marvel at human ingenuity. I travel to experience a stranger’s unexpected act of kindness. 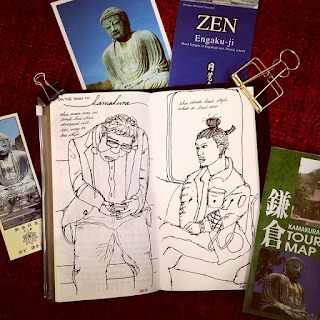 Most importantly, I travel to learn about myself. 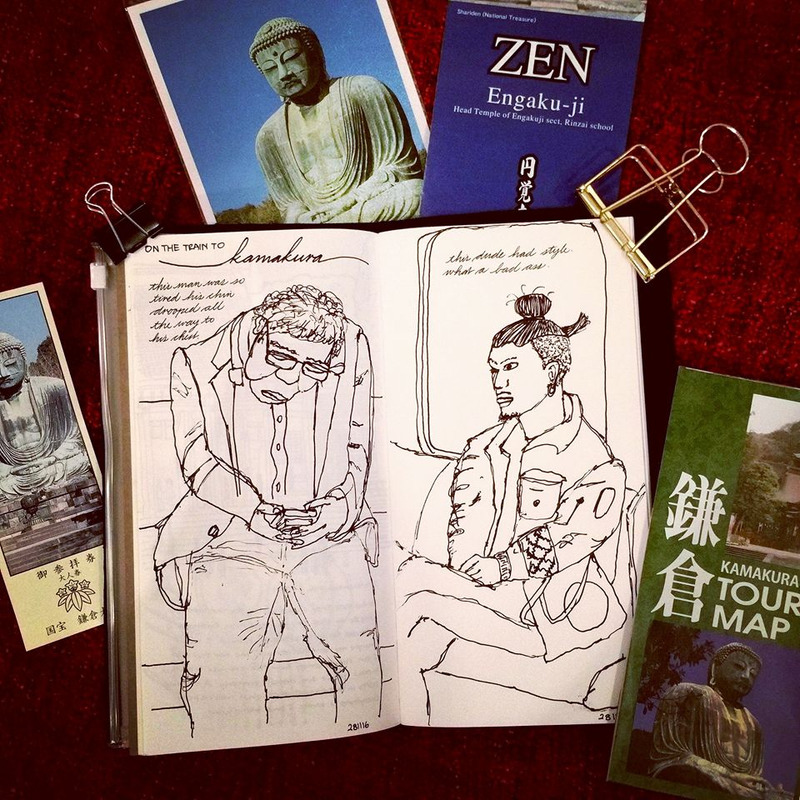 I travel sketch because it allows me to remember the experience in greater detail. 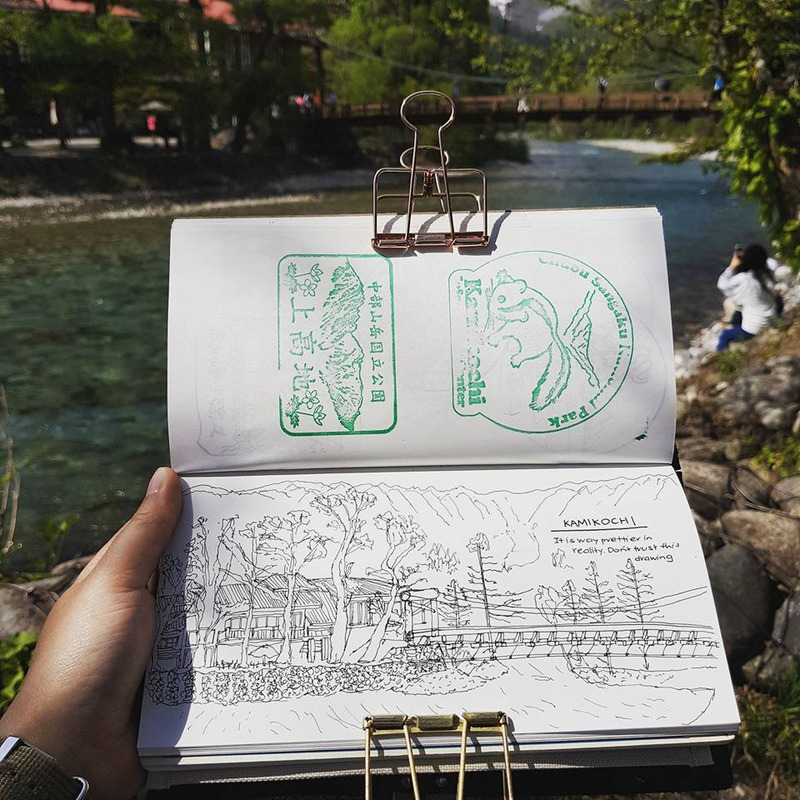 Once you draw something, it’s yours forever. 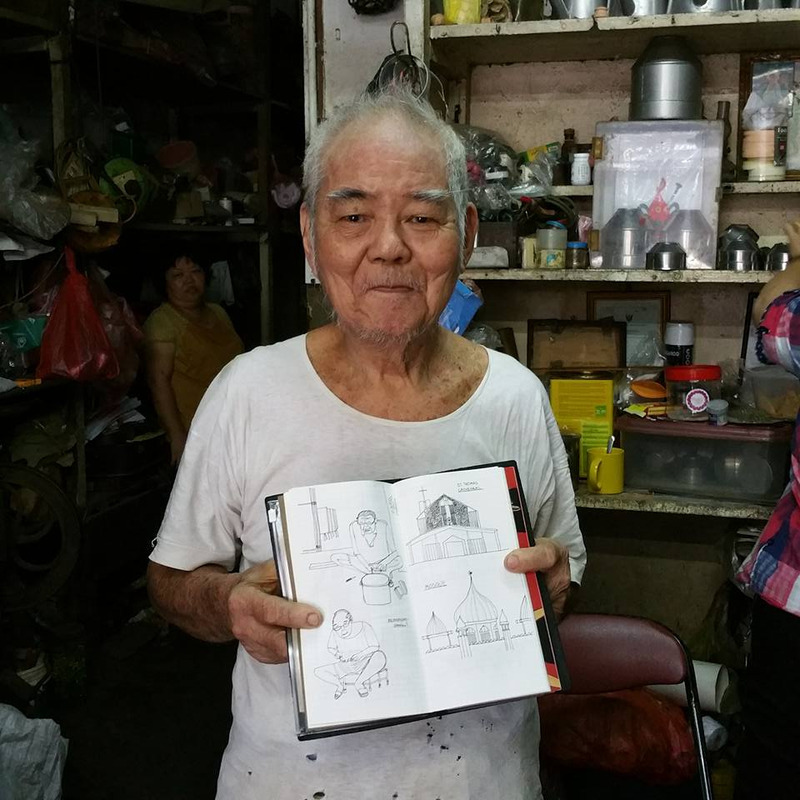 Travel sketching also helps to break down language barriers in foreign countries and win you new friends. Anyone can understand a picture regardless of language. I’ve started conversations with strangers before by showing them where I’ve been. Everyone likes a bit of show and tell! 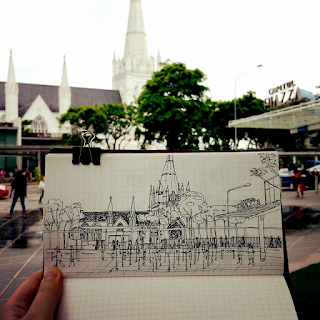 I prefer drawing buildings rather than nature. 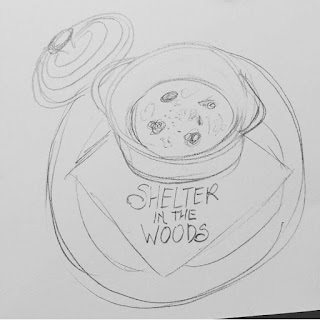 I like clean, simple straight lines in my sketches, so the overall effect is uncomplicated and unfussy. People are fascinating subjects but they move too much! 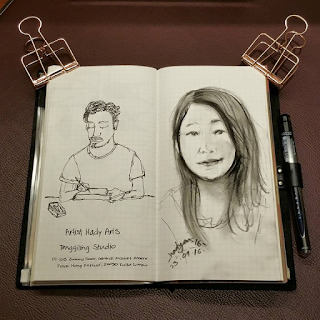 I only draw people if they are sitting still in front of me for a period of time, such as when they are sleeping, reading or just spacing out. 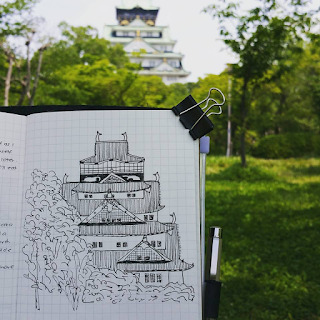 How does sketching add to your travel experience? 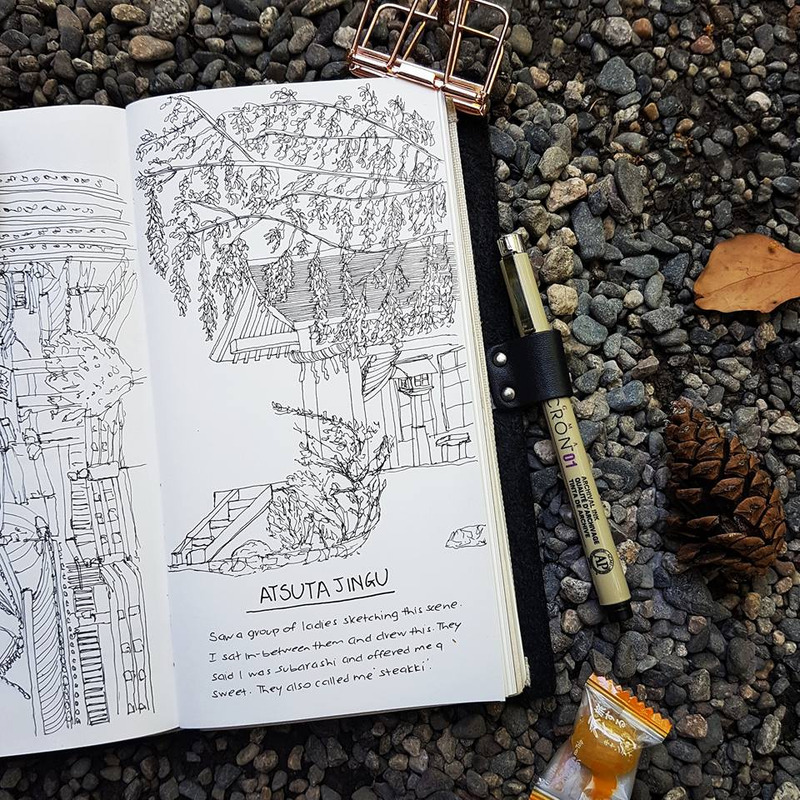 Compared to simply taking a photo, I find that sketching allows me to be more mindful and aware of the scene in front of me. 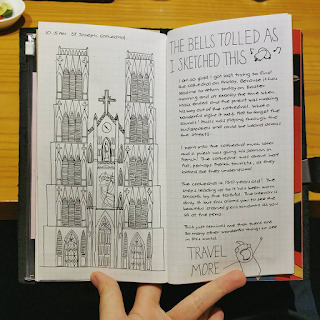 Flip to any page of my travel journal and I can tell you how I felt at the point in time when I drew the scene. In Nagoya, I remember pausing my sketch as a newly married couple and their entourage emerged from the shrine I was sketching. I remember the smell of incense as I sketched the dragon on top of a temple in Taiwan. 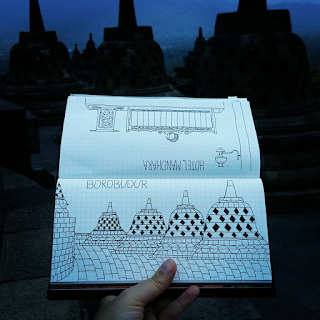 I remember the Muslim call to prayer that rang out across the Borobudur temple complex as I hurried to finish my sketch before it got too dark to see. If anything else, sketching definitely enriches my travel experience. I walk around the scene first to decide on the vantage point from which I wish to draw from. I then pick a shady spot and make sure I’m not in the way of pedestrians or traffic. I start sketching with a pencil outline before committing to ink, and finally finish up with watercolour. 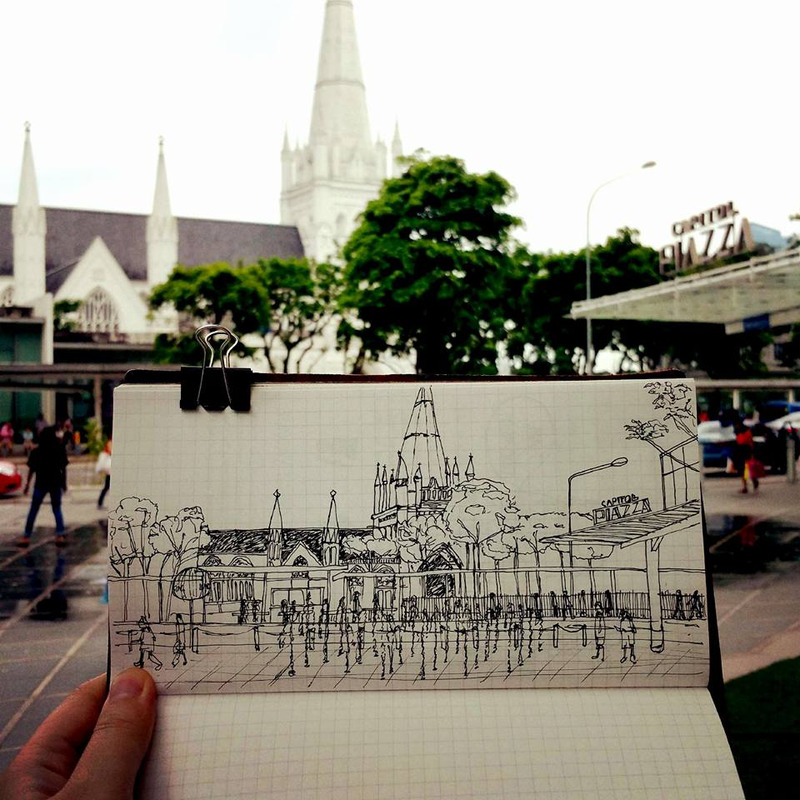 I tend to leave most of my urban sketches in ink as it reflects my style of simplicity and minimalism. 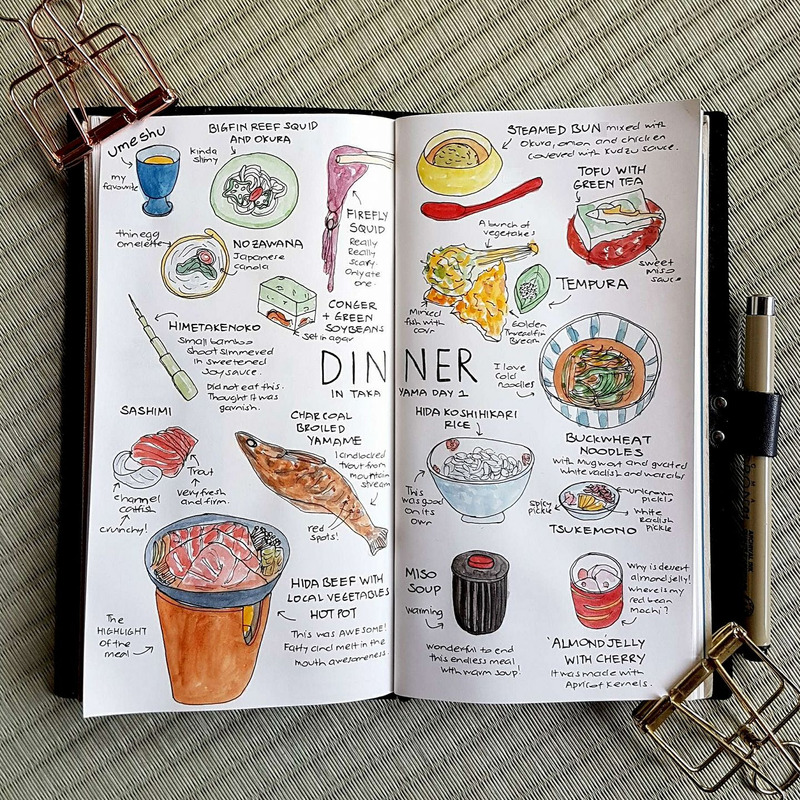 I will, however, colour in my food sketches as colour really helps to convey the mouth-watering quality of the dish. Lastly, I include my thoughts on the subject drawn. I believe these little notes add a personal touch to my work and tell a little story about what I feel at that point in time. What advice would you give to someone who wants to sketchpack? Pack light and pare your equipment down to the essentials. 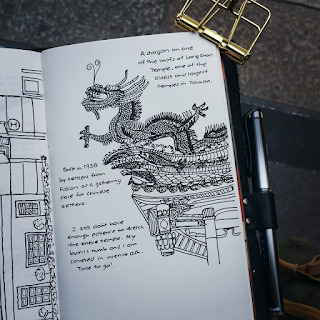 A foldable chair would allow you to sketch more comfortably but it becomes an extra weight when you’re not sketching and another item you could possibly lose as you travel. 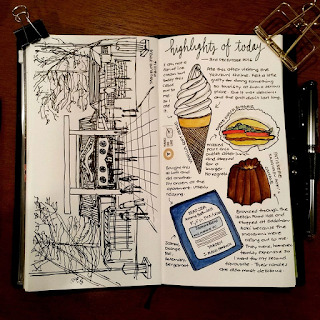 All you really need is your sketchbook, a pen or pencil, your paint palette and brush. The rest are unnecessary. When traveling and also in life in general, I have found that the less things you have, the less things you have to worry about. 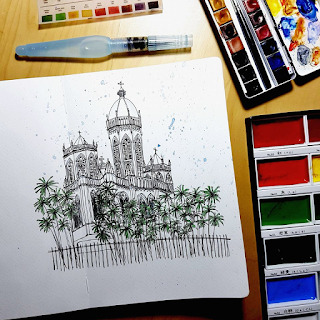 A lot of people say they wish they could draw but don't know how or are afraid to start. 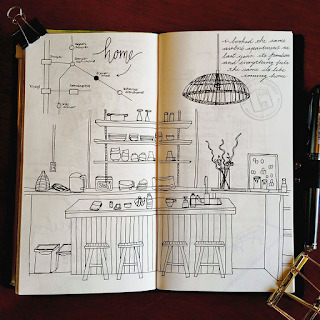 What advice would you give to someone who would like to start sketching but doesn't know where to begin? The beginning is always the hardest. If you're afraid to start something because you're worried about failing, you'll never get anywhere. A mistake is proof that you tried. I have received a lot of kind comments telling me that I'm talented. I like to reply that it really isn't so, but what I have more of are perseverance and persistence. I think these two traits will get you quite far in life. 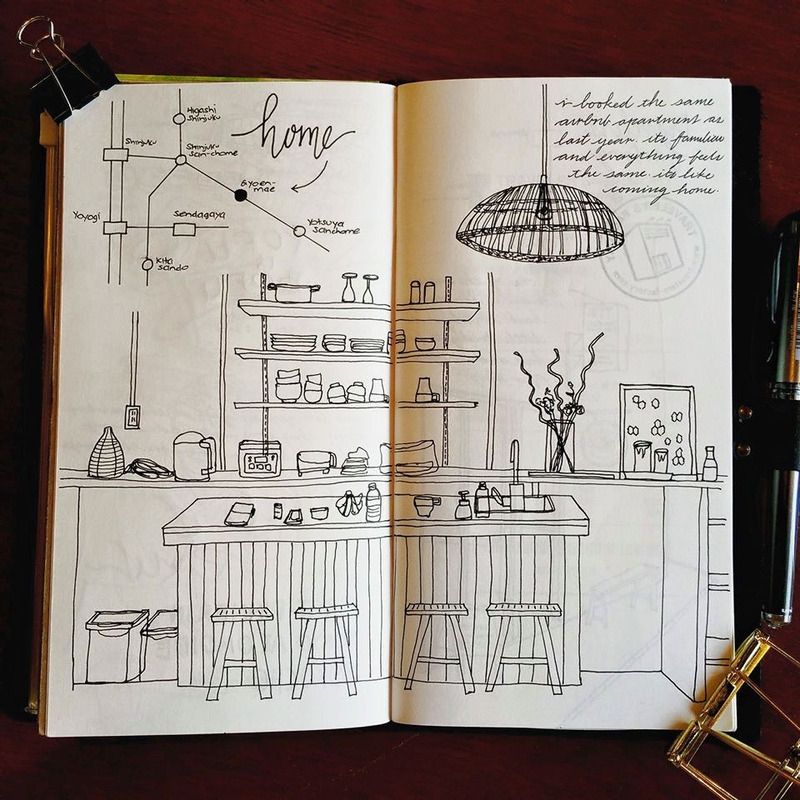 So if you are afraid to start sketching, I would say worry less and just do it. 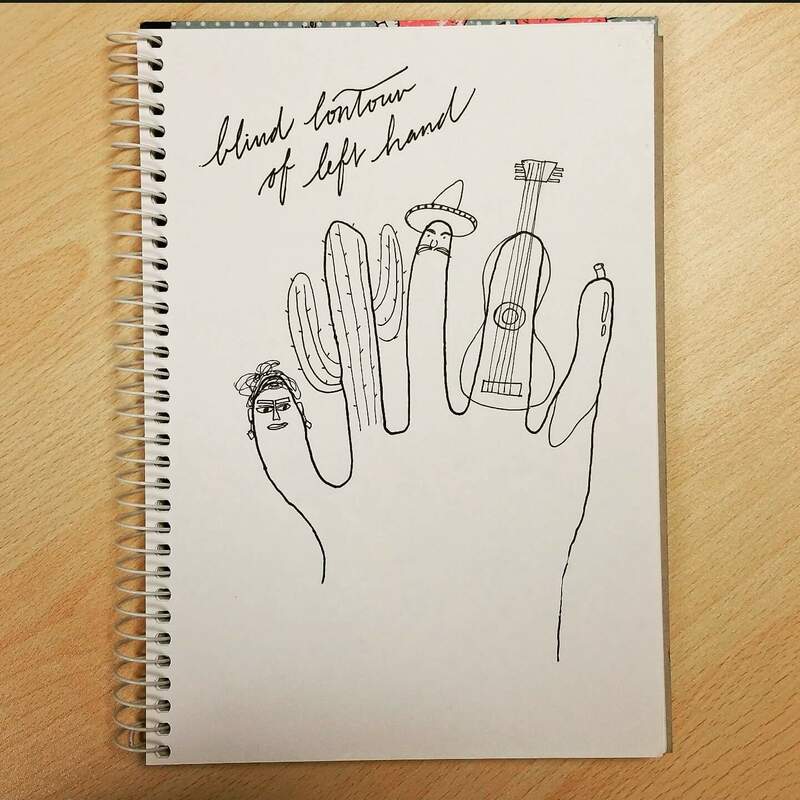 So what if it looks like chicken scratch? If you keep at it faithfully, one day it will stop looking like chicken scratch and you'll come to the very remarkable realization that you can indeed draw! Don't forget to have fun along the way! Go see the world and don’t take yourself too seriously. Life is to be enjoyed. Don’t forget your sketchbook while you’re at it!